Hey gang, listen up! 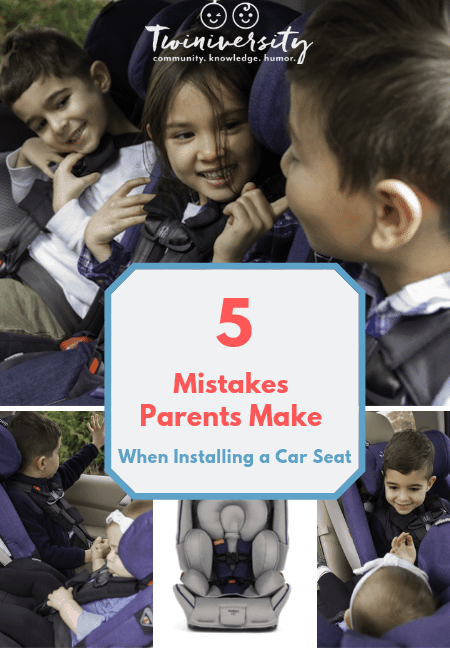 We’ve got a great article for you today on mistakes parents make when installing a car seat, plus a fantastic giveaway from Diono! One lucky family will take home two (2) Just My Color Radian rXT all-in-one convertible car seats! 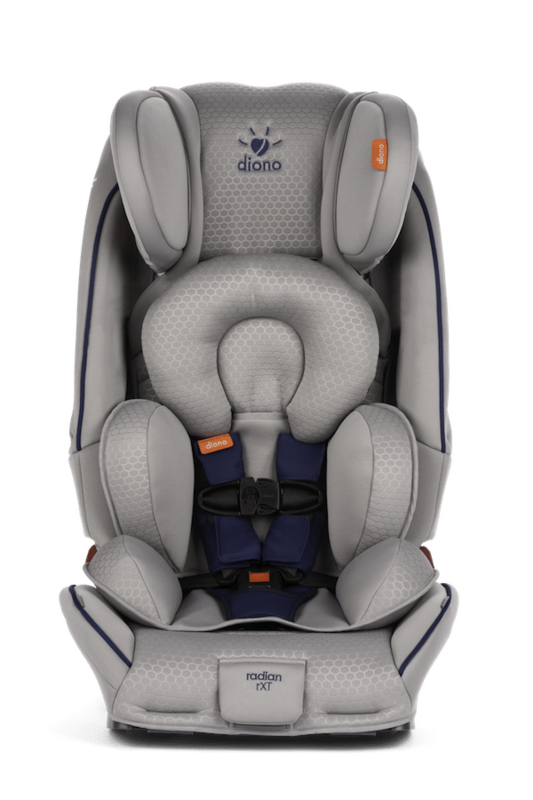 The Diono radian® rXT car seats fit 3-across in most mid-size vehicles. This is a huge plus for families of twins +1! Extended rear-facing from 5-45 pounds for the safest possible position. Premium, plush head and body support cushions are included for newborns and infants. Room to grow: Accommodates forward-facing children up to 65 pounds in a 5-point harness and converts to booster mode for kids 50-120 pounds. Additional Side Impact Protection: The aluminum reinforced, adjustable head support and sidewalls provide additional side impact protection. Worth the Weight: Diono car seats are made from steel for safety you can feel. The fully integrated steel frame is wrapped in thick engineered plastic to withstand severe crash forces. Deep, aluminum reinforced sidewalls provide excellent side impact protection, while energy-absorbing EPS foam surrounds your child for ultimate safety. Always always ALWAYS read your car seat manual from cover to cover. You also need to read your car’s manual section on installing car seats. 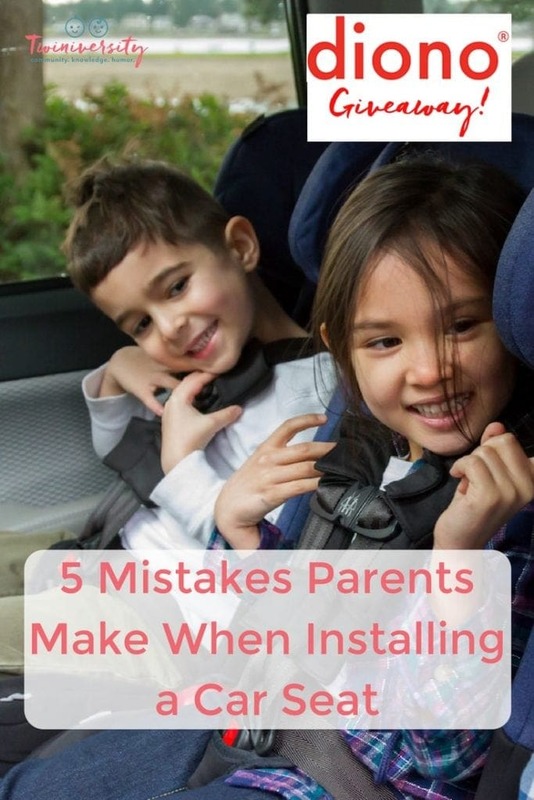 Your car’s manual will let you know where in your car you can find the LATCH system, tether points, and airbags, as well as the best places in your car to install car seats. It will also tell you the weight maximum on the LATCH system lower anchors, which is important to know! Once your kids max out the weight limit on those lower anchors, you need to start using the car’s seat belt to install the seat. When you install a car seat correctly, there should be no more than 1 inch of wiggle when you try to jiggle the seat from side to side and front to back. Ideally, there would be no wiggle at all. Make sure you’re tightening the LATCH lower anchors as tightly as you can. If you’re installing with a seat belt, you’ll need to use a secure lock-off, either with a mechanism that’s provided on the car seat or by fully locking off the seat belt’s retractor. Your car seat manual will explain the best way to do this. If your child is in forward-facing position, you must use the upper tether on a tether point made for car seat installation. Don’t just tether the car seat to anything in your car! Check your car’s manual to make sure you’re using the correct tether point. Before you tighten the harness, check to make sure the top of the harness is at the right position for your child’s shoulders. 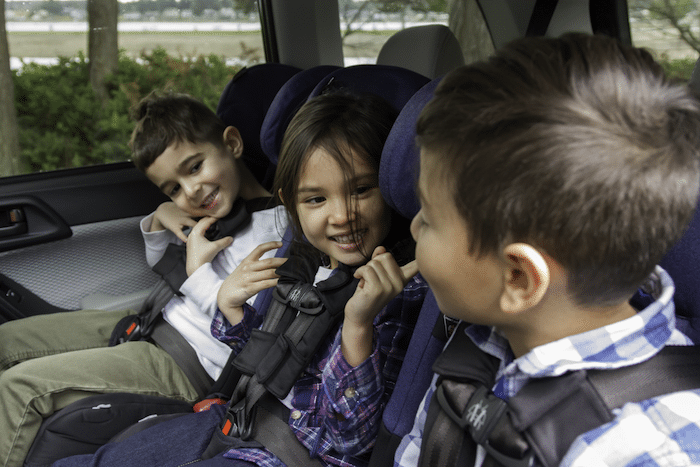 If using a rear-facing seat, the harness should lay at or below your child’s shoulders. 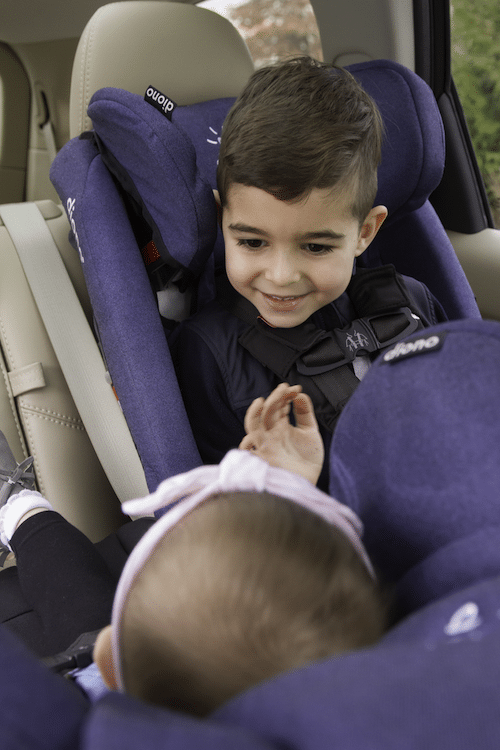 If using a forward-facing seat, the harness should lay at or above your child’s shoulders. Make sure to check this every time you use the seat, as kids can have a growth spurt overnight! When you tighten the harness to secure your child in the seat, make sure that the harness lays flat and flush against their body. The harness should be snug and you should not be able to pinch the strap (click here for a video demonstration.) But how do you know if the harness is too tight? You should be able to fit one finger underneath the harness comfortably. If your child complains it’s too tight, they are probably just not used to it being installed correctly. Give them a few days to get used to it. Resist the temptation to loosen the harness, and if you need to, explain that race car drivers have to wear very snug harnesses too! If that doesn’t work, try telling them it’s the rules of the police that say we have to keep the harness tight (that always works for my kids!) If that fails, introduce some new car-safe toys to distract them! Did you know that the retainer clip (aka chest clip or t-bar) should be aligned with your child’s armpits? This is the easiest way to make sure you’re placing the clip in the correct position. This clip helps to keep the harness in the best position in the event of a crash. It’s important to not place the clip too low, which may injure your child in an accident. The American Academy of Pediatrics (AAP) recommends rear-facing your child in a car seat until they are at least two-years-old. But you can rear-face much longer as long as your child is within the maximum height and weight for their seat. Think about it — the safest way to travel is rear facing. We strongly recommend that you wait until your child has reached the maximum weight or height on their seat for rear-facing before turning them around. 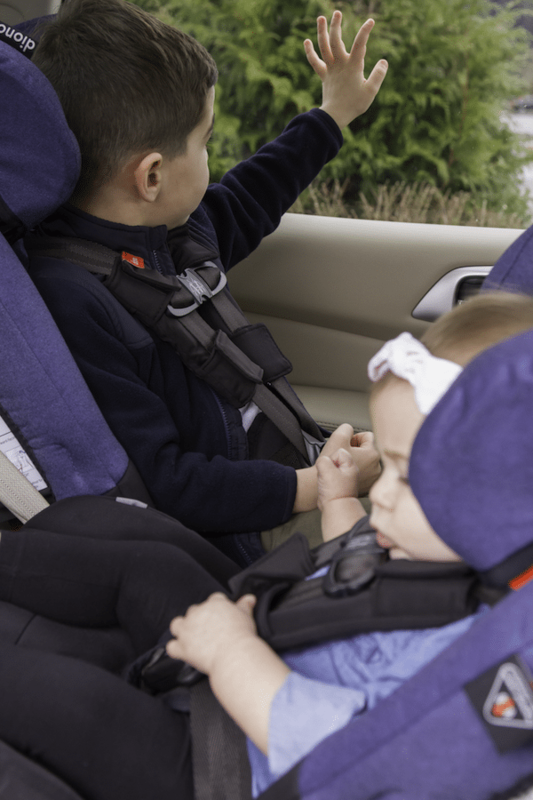 The longer your child can be in a rear-facing harness, the safer they will be. 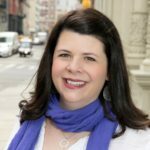 Should I Bring My Car Seats On An Airplane?